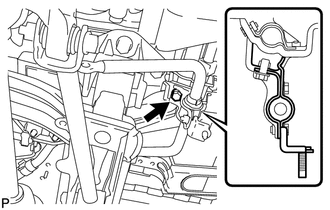 (a) Temporarily install the rear stabilizer bar bracket LH (front side) with the bolt. Loosely tighten the bolt so that the bracket can be moved by hand. 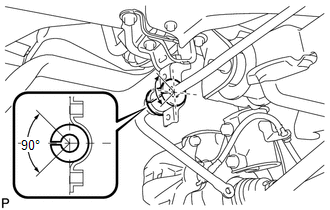 (a) Temporarily install the rear stabilizer bar bracket RH (front side) with the 2 bolts. Loosely tighten the bolts so that the bracket can be moved by hand. 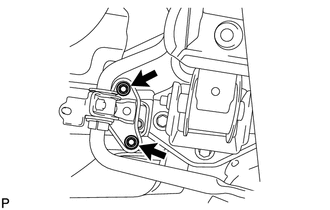 (a) Install the rear stabilizer bushing (LH side) to the rear stabilizer bar. 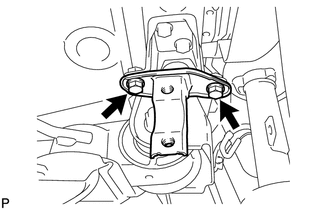 Make sure that the cutout of the rear stabilizer bushing is positioned within the range shown in the illustration. 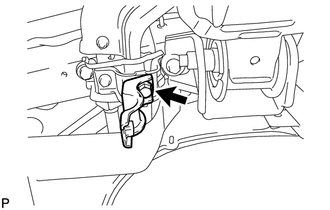 (a) Install the rear stabilizer bushing (RH side) to the rear stabilizer bar. 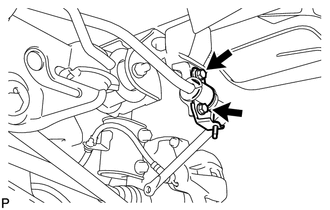 (a) Install the rear stabilizer bar bracket LH (rear side) with the 2 bolts. 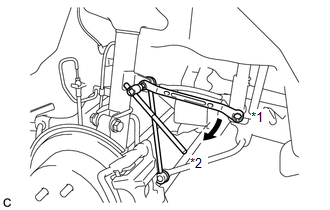 (a) Install the rear stabilizer bar bracket RH (rear side) with the 2 bolts. 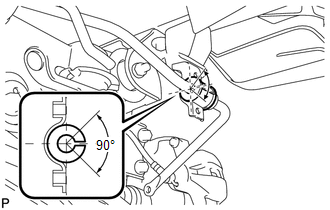 (a) Fully tighten the 2 bolts. 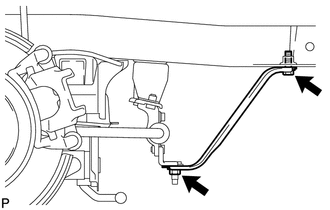 (a) Install the rear lower suspension brace with the bolt and the nut. 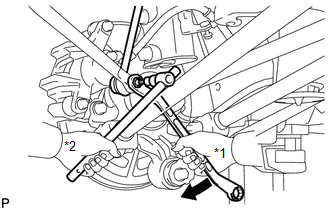 (a) Install the rear stabilizer link assembly LH to the rear shock absorber with coil spring LH with the nut. 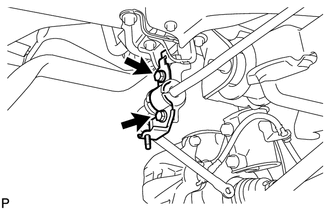 (b) Install the rear stabilizer link assembly LH to the rear stabilizer bar with the nut.